I created this 49 Lists mini book for a Mini Albums with Monika blog post while I was a My Mind's Eye Design Team member. I just love how it turned out and it's just so much fun flipping through the pages and imagining the lists I'll create and all the memories and stories I'll tell within the covers. At the time, I wasn't quite sure what to name the album, so I listed everything that came to mind when I created the graphic. What do you think I should name it? Here's the problem. I've completed very few lists since then and I don't want this awesome little project to gather dust and be moved from corner to corner and never get finished. I don't want to feel guilty about yet another thing I've let slide. So, to help me along in this, I asked some friends for their favorite listing resources and I got so many good hints. I have a List Love board on Pinterest if you want to check it out. I've now narrowed it down to enough lists to carry me through to my 50th birthday in March. Because it seemed a good place to keep it, my Filofax will be list central for me as I look to complete this project! 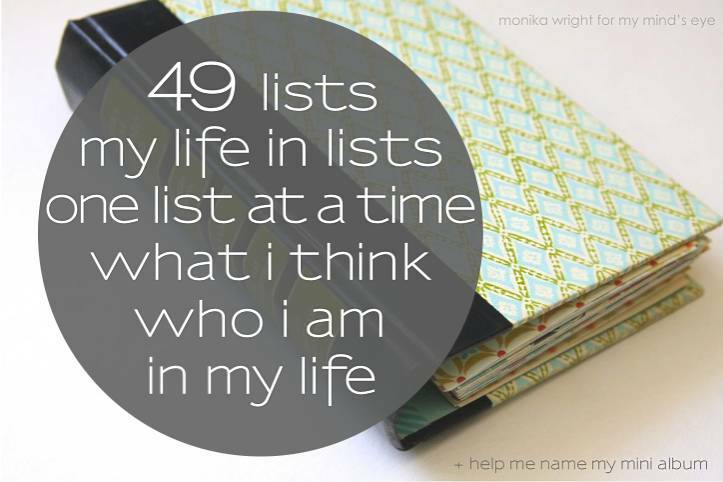 I'll begin the 49 lists countdown on February 6th, which is 50 days until I turn 50! Feel free to follow along, I'll be posting my lists daily on Instagram with #49lists. 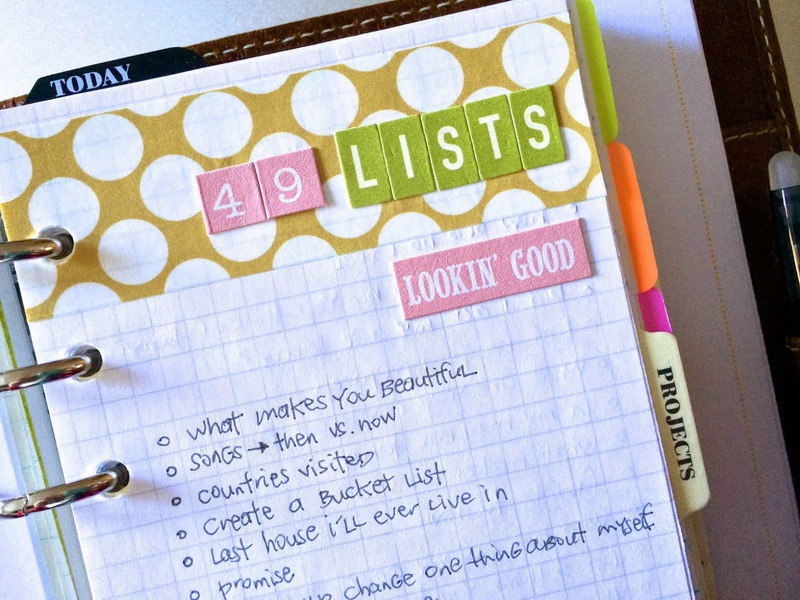 Who knows, you might find a list that makes you want to jot down a thing or two, or ten! And if you have list you want to share with me, or a good source for lists, leave it in the comments so I can check it out. What a great idea! You know how I love lists!! 49 Lists! Because you will only be this age and pass this way once. By using this title, your family will always know when you created this book too. Love all of your work!